A workshop addressed to actors, directors and connoisseurs during which the basic aspects of writing and of the representation of a theatrical play will be explored. The students will be able to measure themselves directly with the acting, the mimic and with the dialectic of scene together with Dario and Jacopo on a number of texts of Dario Fo and Franca Rame, living the exceptional experience of participating to a lab which recreates the authentic atmosphere lived within an acting company, entering, and living in full the method of work of a great author and interpreter of the Italian theatrical scene. Sharing moments of the day, practising, listening to ourselves and to each other, learning from everyone's mistakes, experiencing moments of joy and games. We believe of proposing once again what will be a unique experience: an out-of-the-box teaching of the classical lesson. It will result on how the initial text is remodelled and revisited while playing in front of a public. How furthermore the narration is imposed by the story and may find its own natural balance starting from the meaning of what we want to say. 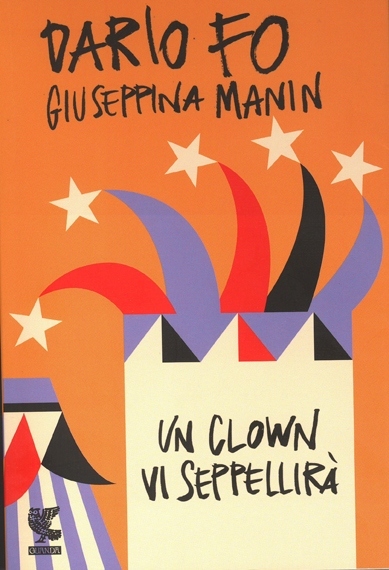 In the theatre works of Dario Fo and Franca Rame, the choice of beauty standards is not made in base of an arbitrary formal taste indeed, but is inherent to the subject to represent. Jacopo Fo, with his usual obsession for the comprehension of the details, will be describing the mechanisms that lie behind the acting performance, unveiling a few essential secrets of the job of an actor, "tricks" which by tradition have been learned by imitation but that today can be minutely and clearly described thanks to new astonishing scientific discoveries. We will thus be speaking about how our mind works while we are acting, of how the public reads the scenic action in an almost subliminal way, and of how, knowing such simple and natural mechanisms, can be of good use to the narrator. The students will be furthermore allowed to bring some of their own compositions and to work together with Dario and Jacopo Fo to refine the acting and the direction. In this manner we will continue the training path and the work of support to new productions started back in October 2012. 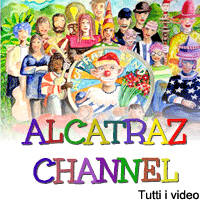 Alcatraz, which for the past 30 years has been a Cultural Association and an accommodation facility, is also centre of production and assistance indeed, acting as incubator of new theatrical, music, graphic and literary creations. The class will begin on Sunday the 28th of June at 21, 30 and will end on Wednesday the 8th of July after lunch. Location: The Free University of Alcatraz is a free association of citizens who enjoy the pleasure of good eating and good manners. It is a cultural association with lodging and food service for all members which was established in 1981 by Jacopo Fo, since 2004 it is also a demonstrative centre for eco-technologies. In 2011 it was awarded with the prize "Climate Friend" ("Amico del Clima") by Lega Ambiente for the results obtained in the ecological field and it accessed the Slow Food guide for the quality of cooking offered by its biological Restaurant. The facility is not composed by a single building only, but by a number of stone houses and bungalows located on the side of the hill instead. The maximum distance is reached between the restaurant and the summer pool: 1.200 meters. Surrounding Alcatraz there is not just a common park. There is a valley with a clear creek, abundant in fish and crabs, which streams down from woods and olive trees covered hills. A green land, rich of evidence from the past of man. From the remains of the Etruscan burial recesses, engravings on stones perched over the river, to the castles, the abbeys, the medieval villages and towers of which the area is scattered. Not far from here the outstanding cities of Gubbio (22 km), Perugia (25 km), Assisi (35 km) can be reached. Lodging: We offer a unique structure in Italy. The atmosphere does not recall that of a usual hotel, most of the bedrooms and of guest lodgings in general are not located within the central structure, you will be sleeping in ancient stone houses, medieval towers and refurbished and rearranged haylofts in country style in the most absolute respect of the surrounding ecosystem, in compliance with the highest standards of environmental eco-sustainability. Furthermore thanks to the cooperation of the accommodating structures located nearby, in the case our capacity should result insufficient, the guests will be lodged in agritourisms, rural homes and other lodgings located nearby with which we have been continuously cooperating for years in the organization of events and in offering a highest quality service to all guests. Restaurant: For 30 years the restaurant of Alcatraz has been offering menus realized first quality, biological and biodynamic ingredients only, preferably at "Km 0". From grandma's recipes to more elaborate dishes, from the delicate taste of a potatoes and leeks velvet sauce to the Mediterranean cooking, to the pleasant spicy savouring of a multi-ethnic cookery. Traditionally buffet served breakfast, lunch and dinner, during which it is possible to enjoy starters, first and second courses, sides, fresh vegetables buffet, cake or fruit servings, bread, and dressings. Bread, in oil preserved foods, mayonnaise and marmalades are all home-made. A micro-filtered water fountain is available, which water is served in pitchers. At the Alcatraz bar it is possible to find mineral water, wine of biologic agriculture grapes, artisan beers, alcoholic drinks, fruit juices and non-alcoholic drinks. Perugia, Umbria, acting, acting, stage direction, art history, history of theater, Italy. 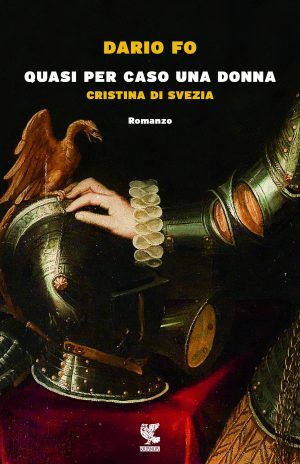 "Il tempio degli uomini liberi"
Il Duomo di Modena letto da Dario Fo come uno straordinario libro di pietra sul quale un’intera comunità, alla fine dell’XI secolo, ha scolpito la propria storia di fatiche e di lavoro ma soprattutto di lotta per prendere coscienza della propria forza e conquistare la libertà dai signori feudali. 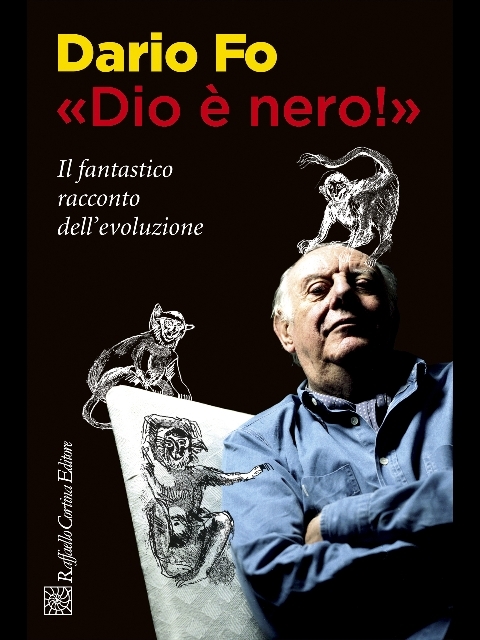 Attraverso un'analisi rigorosa dei documenti storici, siano essi di carta, di marmo o dipinti, Dario Fo ripercorre le vicende della costruzione della cattedrale modenese per iniziativa della stessa cittadinanza - non di qualche potente religioso o laico - che ne affidò la direzione dei lavori a maestri del calibro di Lanfranco e Wiligelmo. E con la consueta bravura il Nobel-giullare riesce a far parlare gli stupendi bassorilievi, i capitelli e le metope che adornano uno degli esempi più significativi dell'architettura medievale di tutto il mondo. La prima parte dello spettacolo, registrato al parco San Francesco al Prato di Perugia, è andata in onda lunedì 13 Aprile 2015. Grandissima novità! 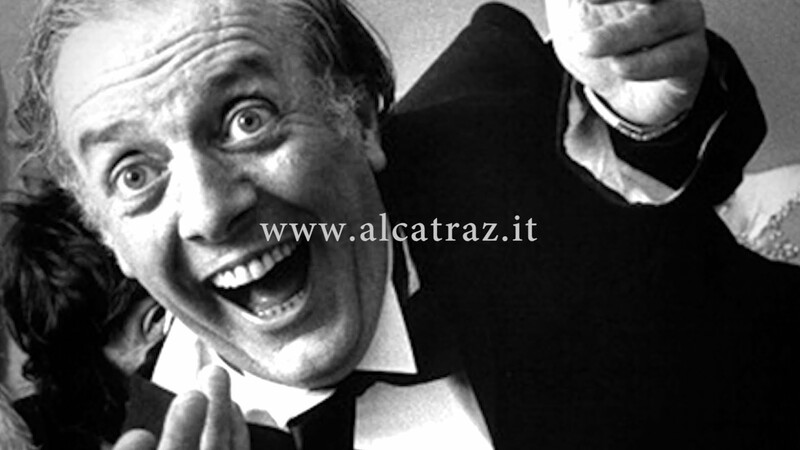 Dario Fo ad Alcatraz per Pasqua!!! 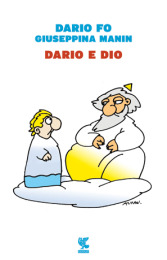 Il previsto laboratorio creativo di Pasqua subisce un’impennata perché ci sarà anche Dario che ci allieterà e ci spronerà grazie alle sue fantasmagoriche lezioni sul teatro, la vita, la lotta e tutto il resto. 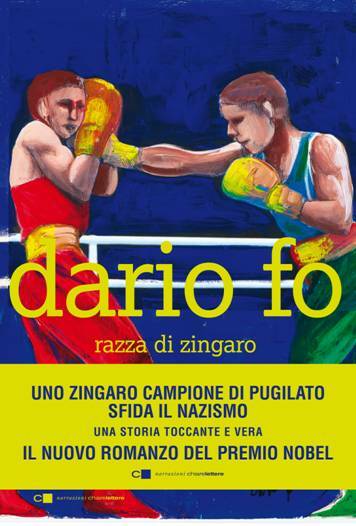 L'arte secondo Dario Fo: lunedì 23 marzo su Rai5 alle 21:21 va in onda "Michelangelo, tegno nelle mani occhi e orecchi"
Leggi tutto su L'arte secondo Dario Fo: lunedì 23 marzo su Rai5 alle 21:21 va in onda "Michelangelo, tegno nelle mani occhi e orecchi"